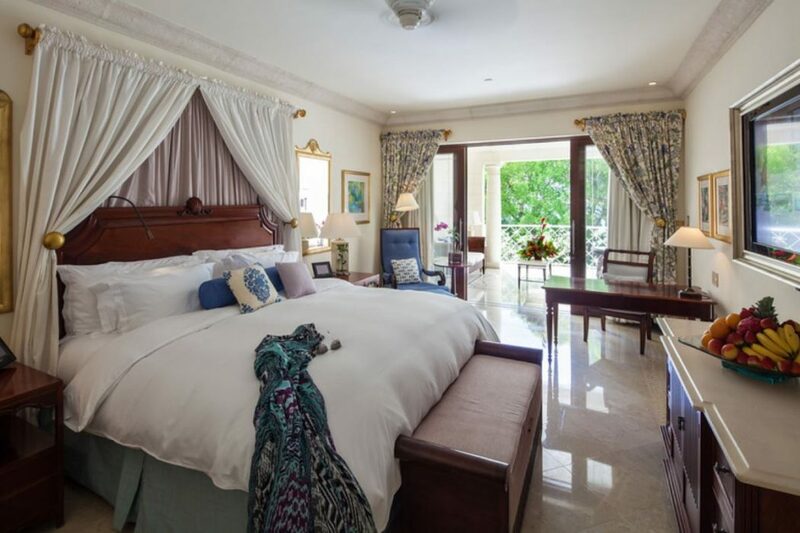 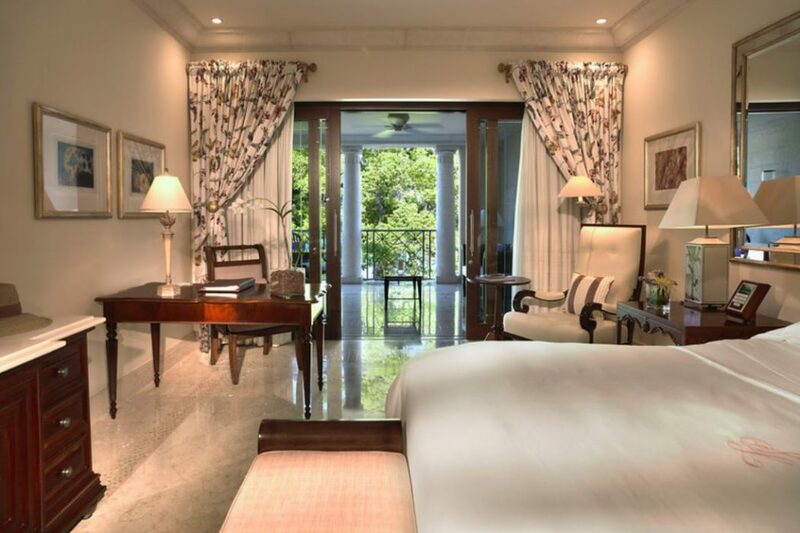 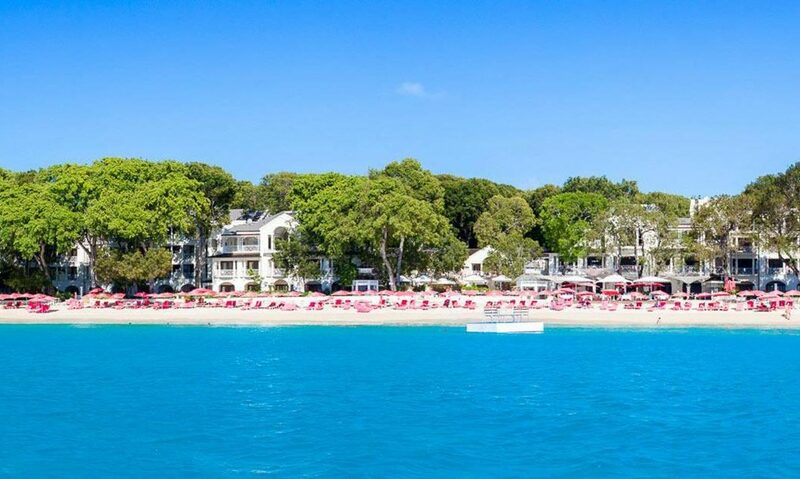 Perfectly and privately located on the western coast of Barbados, overlooking the crystal clear waters of the Caribbean Sea, the Sandy Lane hotel rests on one of the most enviable locations in the West Indies. 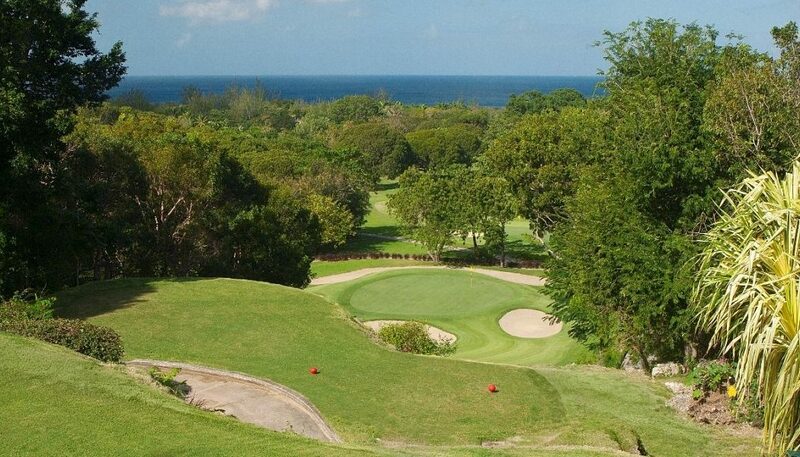 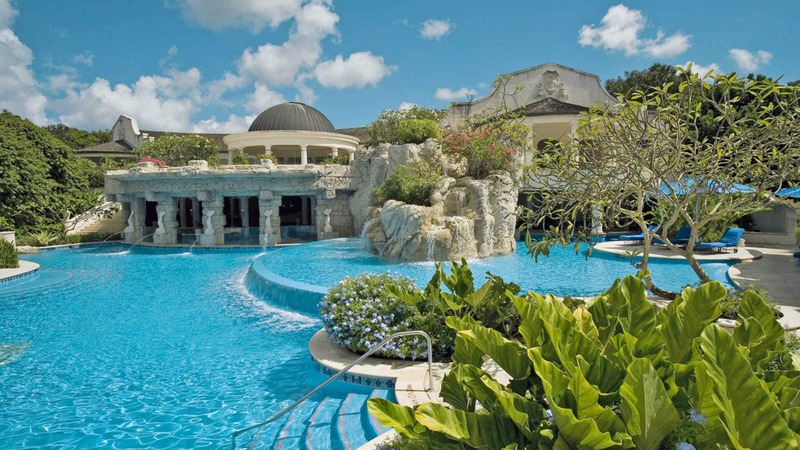 Sandy Lane is one of the super luxury resorts in the world. Luxury can be found in every corner of this stunning world-class resort. 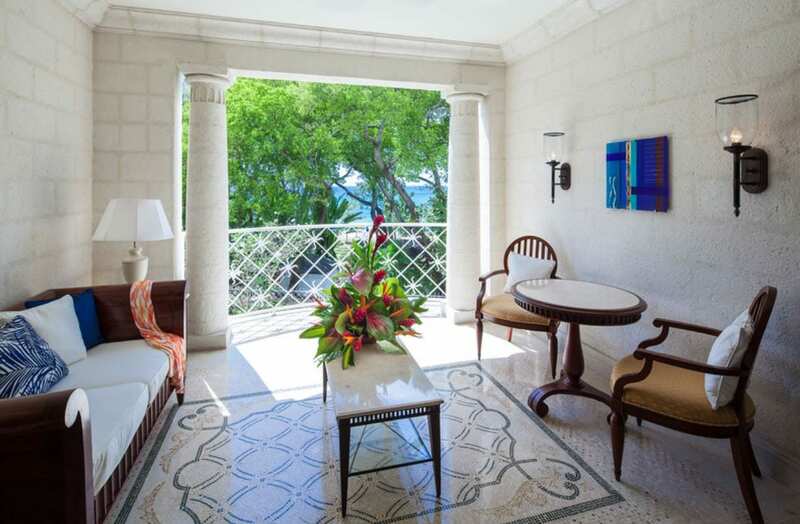 it is a classical design of coral stone set in a mahogany grove overlooking a sweeping crescent of golden sand and the Caribbean Sea. 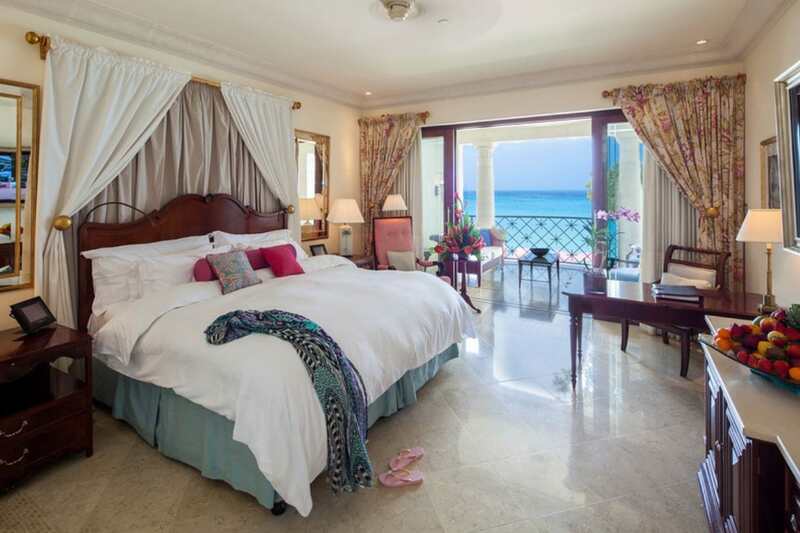 Sandy Lane has it all: a perfect location in Barbados for a luxury Caribbean holiday, overlooking the Caribbean Sea on a tranquil coral sand beach, shaded by mature mahogany trees, the timeless and classic elegance of the Palladian buildings mirrored in the spacious comfort of the 112 hotel rooms and suites, a stunning private villa, exceptional golf, gourmet dining, an outstanding spa, superb sports facilities and finally, an exceptional level of warm Barbadian hospitality. 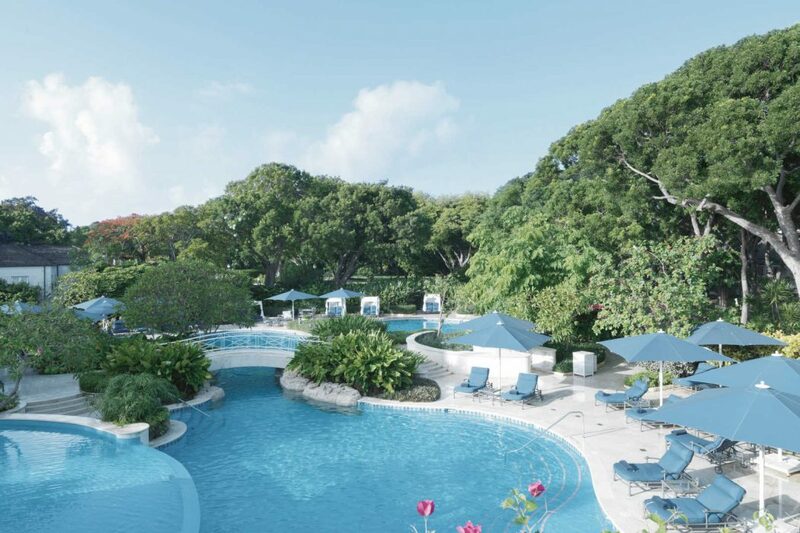 Fabulous for families and couples alike. 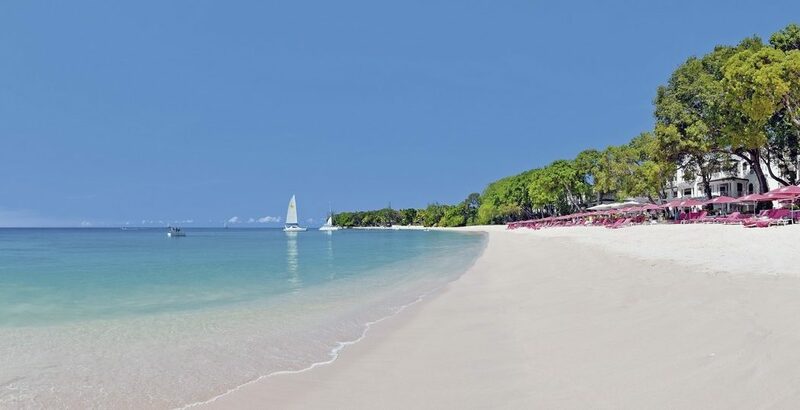 Perfect for secluded relaxation and soaking up the sun, Sandy Lane boasts pristine soft white sands and superb views out over the sparkling Caribbean Sea. 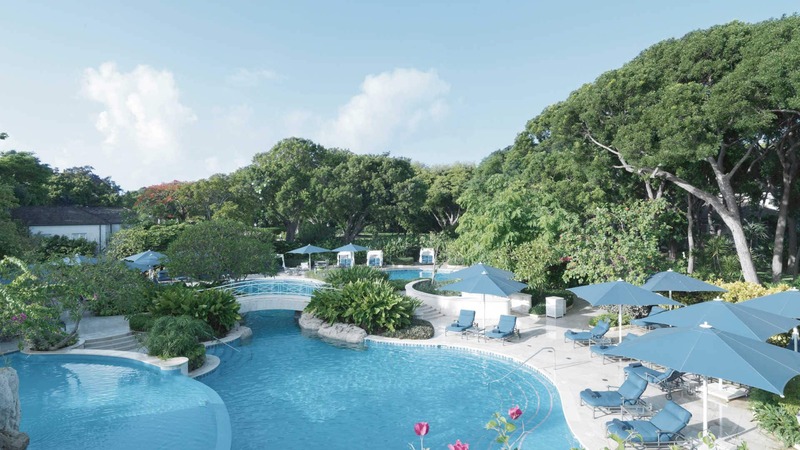 Activities exist in abundance here at the Sandy Lane resort, with something for every member of the family to enjoy. 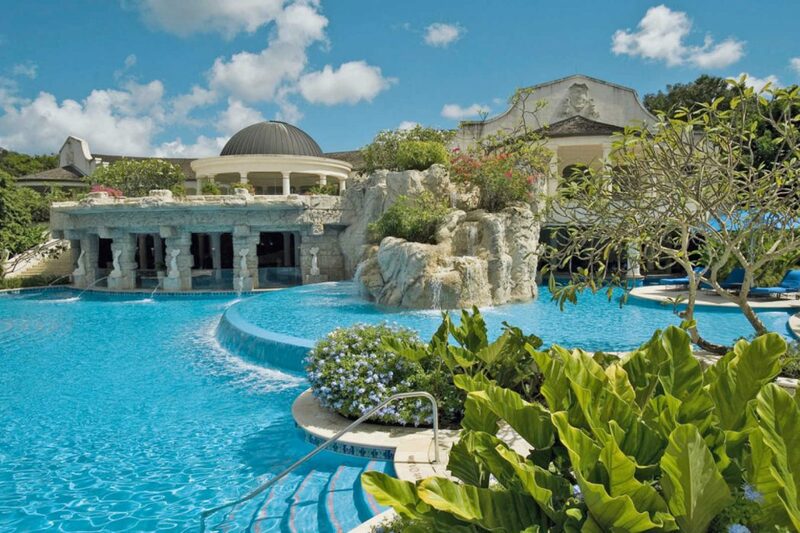 Guests can simply enjoy the splendour of the outdoor swimming pool, surrounded by cascading waterfalls. 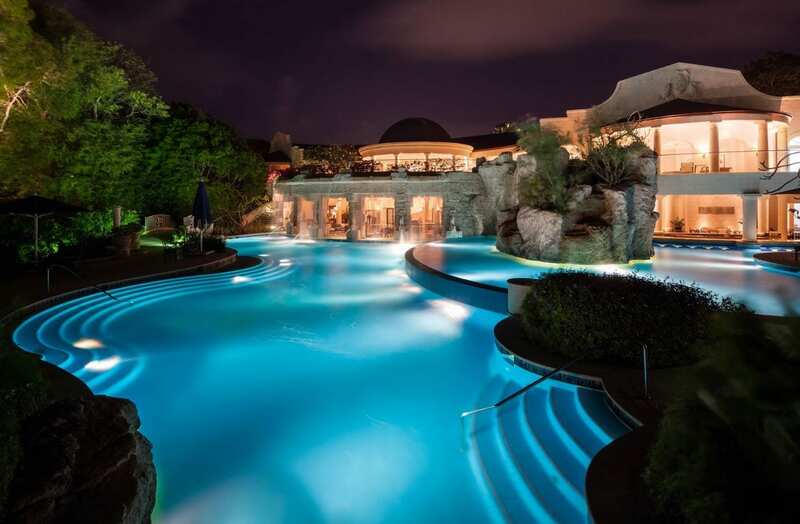 There’s also a spa, a fitness room, 3 golf courses, 4 restaurants, a wine cellar and 7 bars. For the ultimate in pampering, spa showcases a wide range of heavenly treatments, from the Haute Couture Facial to the Bajan Sugar Cane Scrub. Guests have unlimited use of all non-motorised water-sports including windsurfing, hobie cat sailing, kayaking, paddle boarding and snorkelling. 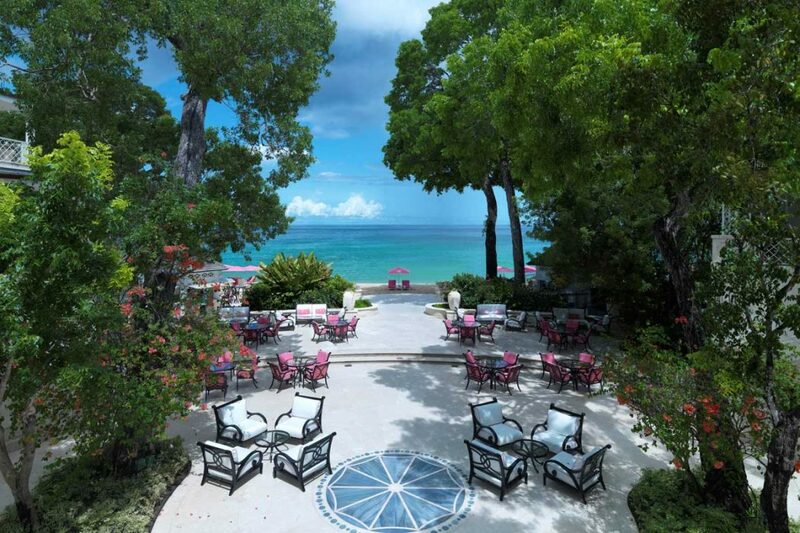 You can all count on Sandy Lane for an unforgettable family escape. The hotel consists of gorgeously presented and designed rooms and suites are well with the very latest amenities. 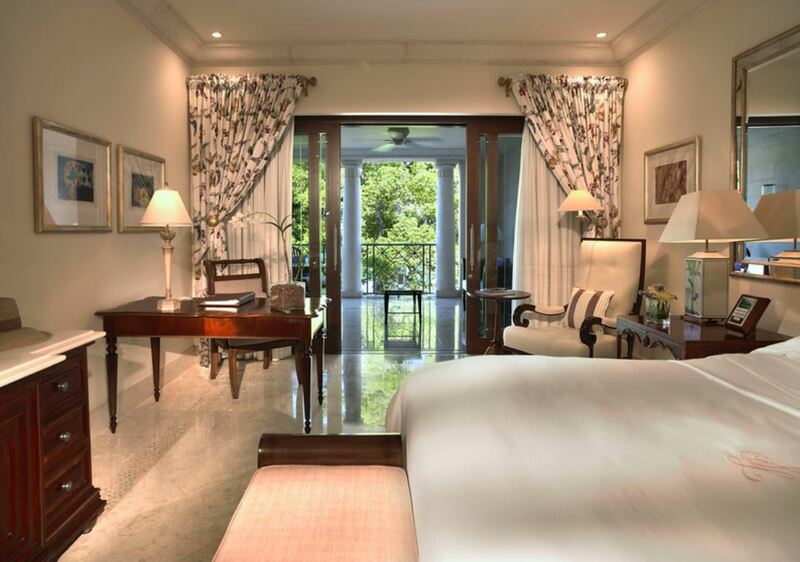 112 rooms and suites, each with a spacious private verandah, balconies and free Wi-Fi. 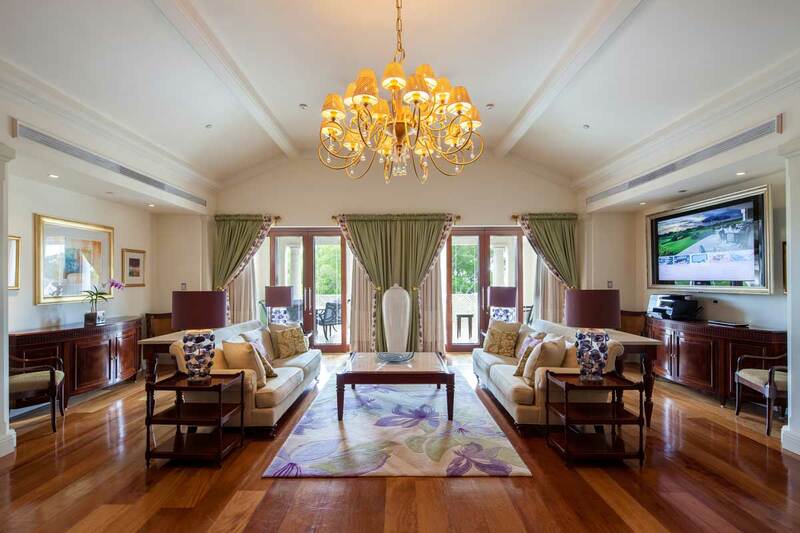 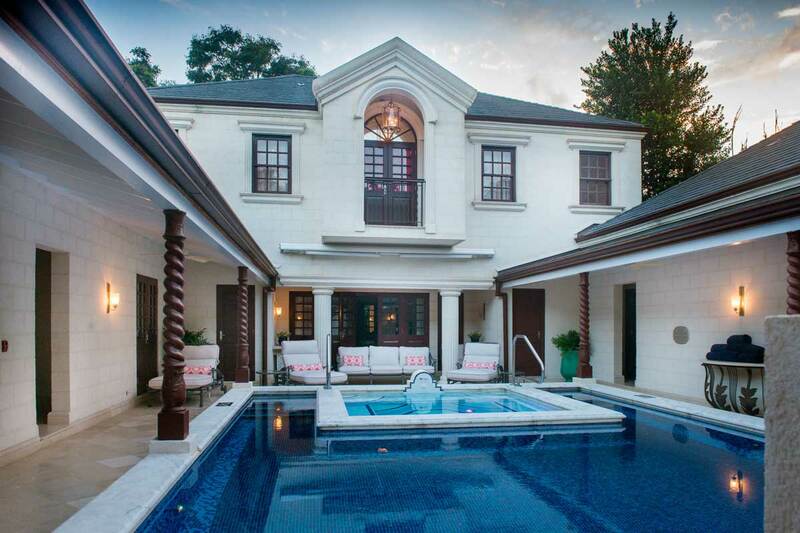 There’s also a 5-bedroom villa, as well as a 2-bedroom penthouses with kitchens. Guests are treated to gorgeous views of the lush tropical gardens or the stunning crescent-shaped beach. 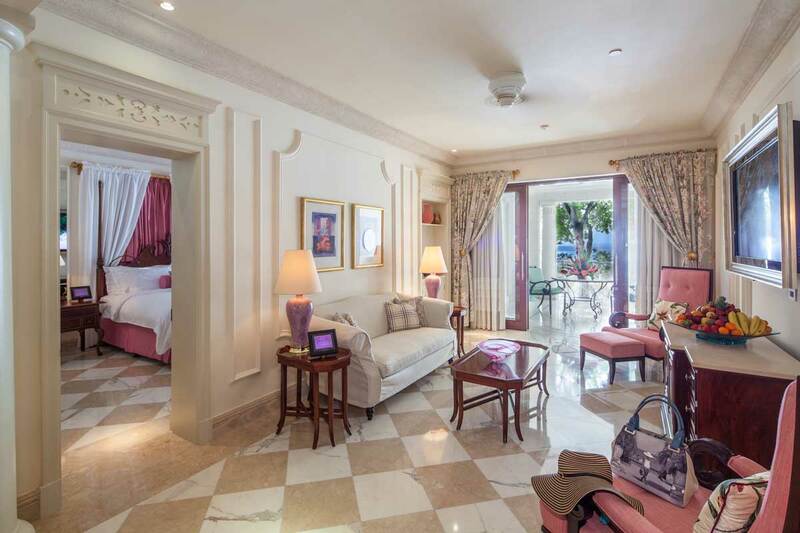 All rooms features plasma wide-screen TVs, interactive entertainment system, minibars, Nespresso machines, and in-room safe. 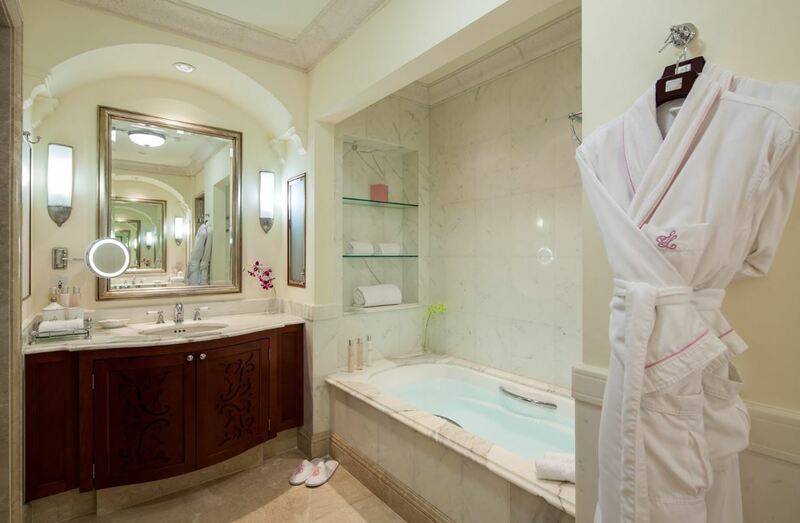 Elegant spacious marble bathroom feature multi-spray showers, and heated mirrors. 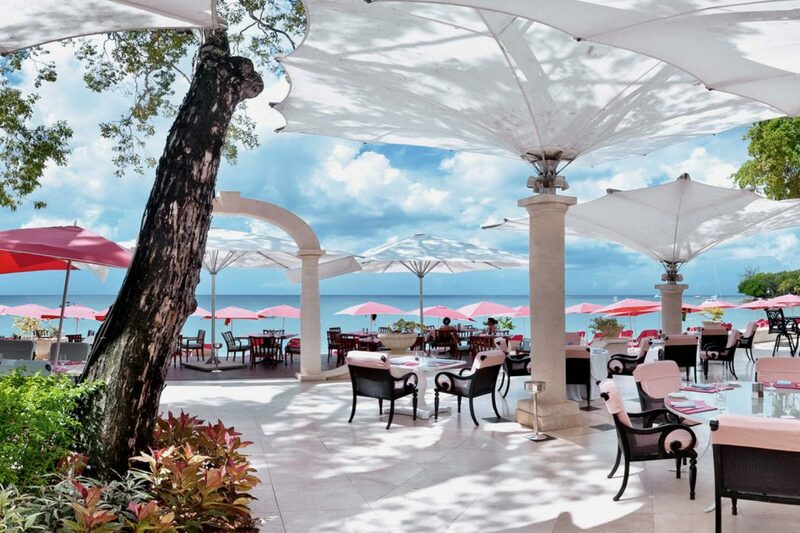 Food is a true delight in the Caribbean, the cuisine tends to be rich and obviously the seafood is exquisite. 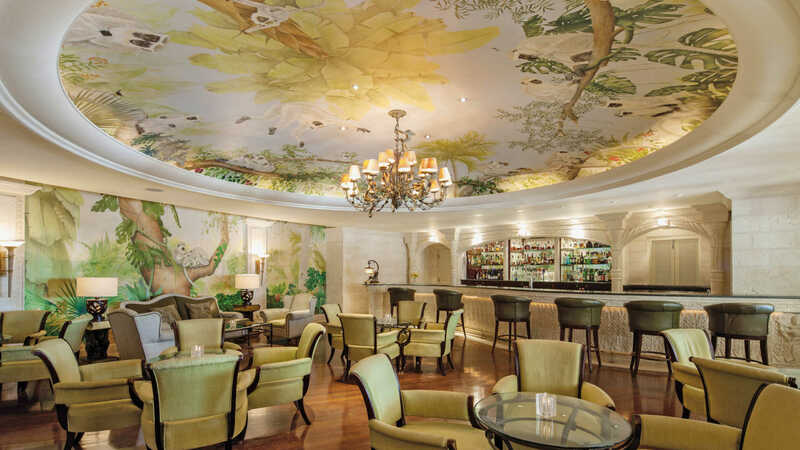 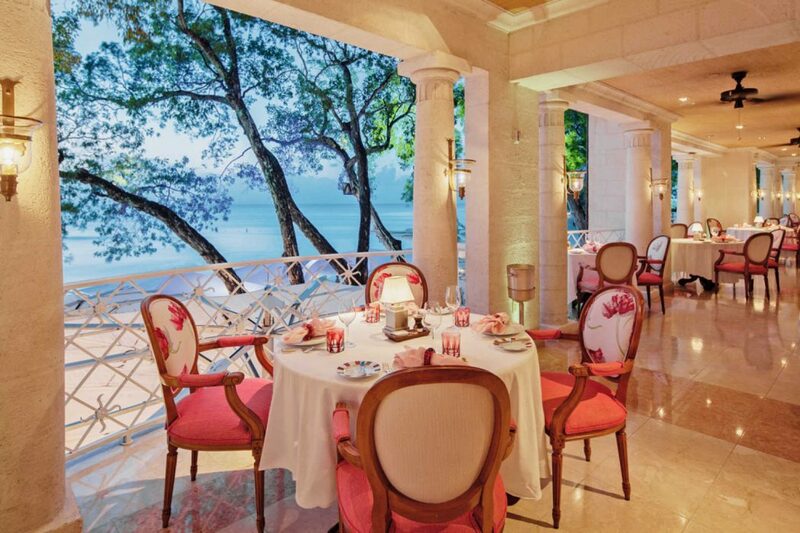 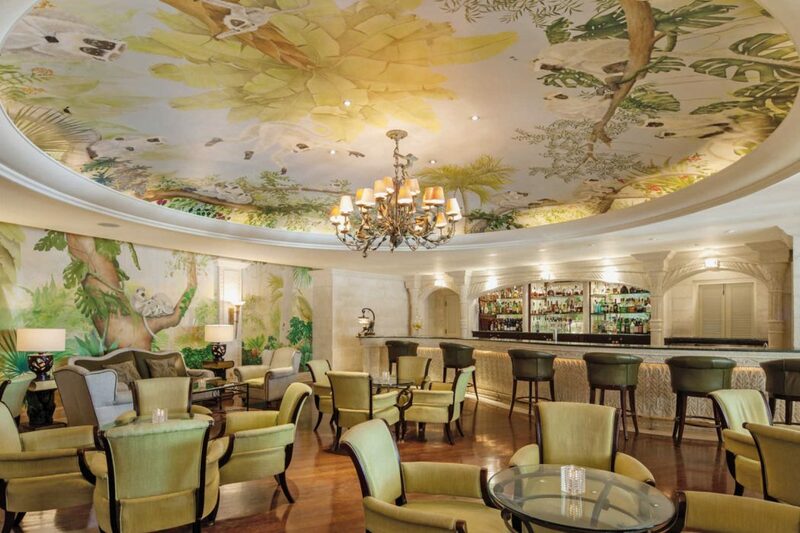 During your stay, you are welcome to dine at one of Sandy Lane’s four excellent restaurants. 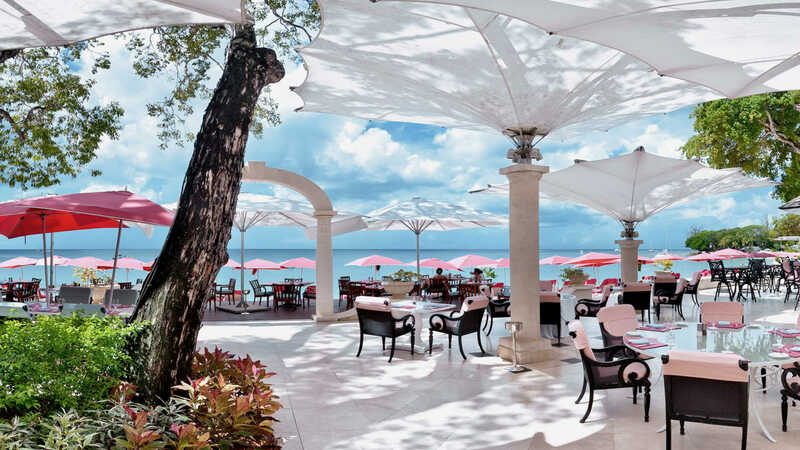 For beachside Barbados dining, the atmospheric and informal Bajan Blue is located on the Lower Terrace, serving a mélange of European, Caribbean and Asian influenced cuisine. 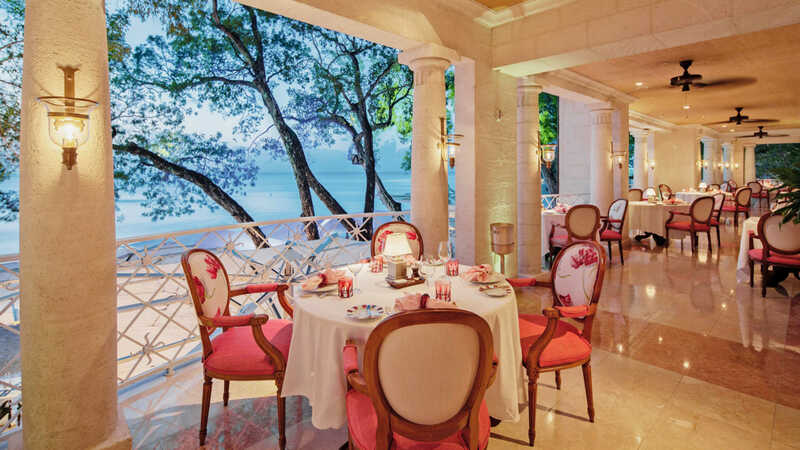 L’Acajou offers formal fine dining in a magical setting overlooking the ocean. 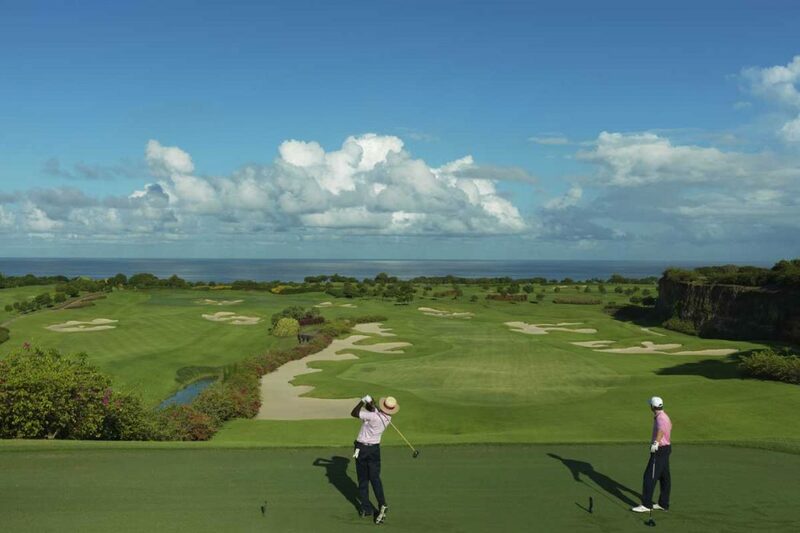 The Clubhouse Restaurant, located high above the coastline with views across the greens to the Caribbean Sea below, this restaurant serves light leisurely lunches, relaxed coffees and cocktails.